We usually associate viruses with disease, illness and death. However, a team of health scientists in the UK have developed a virus in the laboratory which has the potential to heal cells, specifically heart tissue in humans. The first human trial is due to start soon. The “virus” carries genetic material and “infects” human tissues, which prompts the heart muscle to regenerate new tissue. Currently the idea is only theoretical, but these forthcoming trials will test the idea out on living humans. The process is called gene therapy. The British Heart Foundation (BHF) are very excited about this new research. The research team are spread across various institutions including Imperial College London, the Royal Brompton Hospital and is being led by Dr Alexander Lyon (Senior Lecturer in Cardiology at Imperial College London) and Professor Sian Harding (Professor of Cardiac Pharmacology at the National Heart and Lung Institute, Imperial College). These trials are tackling the issue of heart failure, which affects around 750,000 people every year in the UK. Heart failure is a severe condition which can immediately immobilise the most active of people. Many people with heart failure struggle to carry out basic tasks and find climbing stairs or walking long distances almost impossible. 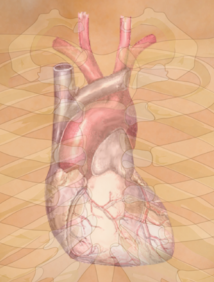 It is hoped that this new gene therapy can repair the damage to the heart to restore a heart to its previous condition following heart failure. If it works this will mark a major breakthrough in improving long-term health of heart patients. The trials will be applying gene therapy and assessing its effectiveness as repairing damage following heart failure. The therapy involves adding DBA directly into heart cells with the hope that they will then correct a genetic condition which causes heart cells to die. Currently the only treatment for people with heart failure are drugs, but these do not restore the heart, they just help the heart to keep beating. This is the first human trial of this kind in the UK and the first patients will be receiving treatment throughout May 2013. Around 200 patients are being selected by doctors for this trial. If this project is successful it will open up a whole new frontier in medical treatment. Hopefully other organs can be repaired as well – there could be cures for diabetes, kidney failure, liver disease and other degenerative diseases. The research and the trials are being funded by the BHF. Learn more on the British Heart Foundation website: New gene therapy trial gives hope to people with heart failure, bhf.org.uk, April 30, 2013.